When Jake was nine months old, I gave him a bite of eggs and he broke out in hives. Even as a quiet, ultra-chilled out baby, my gut told me something was off with his system. He was always breaking out in welts, eczema had covered his body since he was three months old, and he had asthma that would flare up when he got a cold. Then came the ear infections. While there were a couple of months in between each one, at every ear re-check, I would get the same report … “infection is gone, but the fluid is still there.” His right ear was especially problematic and never drained properly. During this time, antibiotic after antibiotic flowed freely into his little body and I used the Benzocaine ear drops as often as I wanted at the advice of my pediatrician. The doctor did not think his ears were severe enough to have tubes put in them. When he turned two years old, the age when professionals say allergy tests become reliable, I made an appointment with the allergist’s office. That day I found out he was severely allergic to eggs and moderately allergic to peanuts. In addition, I left the allergist’s office with a handful of prescriptions for asthma and eczema. But, I wasn’t satisfied. I felt like there was more; something we were missing. Medicating my 24-month-old child with multiple prescriptions was not the answer for me. I wanted to know why this was happening. After all, wouldn’t eliminating an allergy trigger be easier and better for him than putting steroid cream on him twice a day, taking Singulair, antibiotics, and doing daily breathing treatments? That was September of 2010. I had to at least explore other options. In October, I made an appointment with a naturopathic doctor and Jake went on a food elimination diet for three months. He essentially ate fruits, veggies, and protein during this time. He also took a high quality probiotic and quercetin, a plant-derived flavonoid found in fruits & vegetables, which is believed to have anti-inflammatory (antihistamine) properties. The first week of his new diet, he had the first solid stool of his life. The food elimination diet was like pressing a reset button on his system. The eczema and asthma didn’t go away completely, but definitely improved dramatically. His ear infections became fewer and farther between. He resumed a normal diet, only eliminating peanut and egg, and later fish and almond. I thought things were getting better, but then my quiet baby remained speechless during his second year of life. 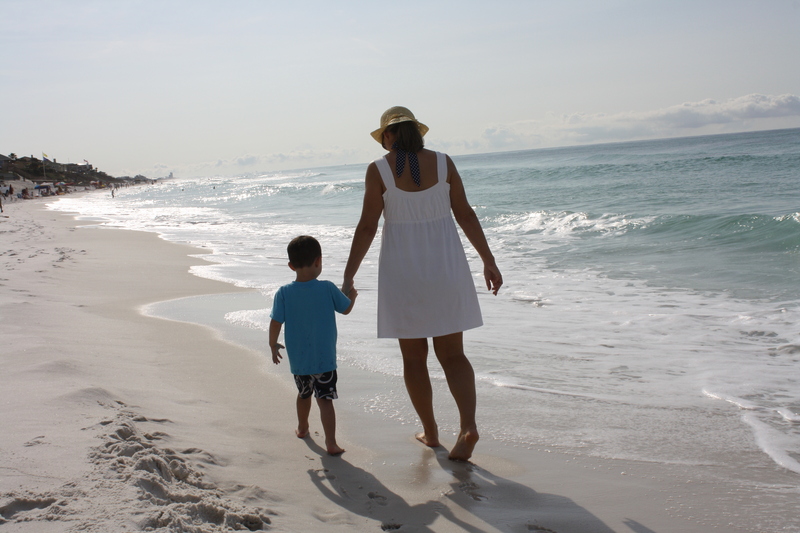 At 27 months old, he began speech therapy and at 36 months old he was diagnosed with apraxia. Once I got this diagnosis, I started researching like crazy and stumbled upon the research study on apraxia, led by Dr. Claudia Morris and Dr. Marilyn Agin. The stats impressed me – 97% of the 187 children showed some level of improvement with supplementation. I was inspired to seek out alternative treatment. I tried to make some diet/supplement changes on my own in March of 2012, but I felt lost and overwhelmed. After much research, I realized Jake could have any number of food intolerances or nutritional deficiencies. After much research, I chose a MD with additional certifications in integrative medicine and nutrition to guide us on this journey. On August 1, 2012, Jake had his first appointment and seven vials of blood later, I found out that he was severely deficient in ALL vitamins and minerals. His amino acid and fatty acid (omega 3,6,9) levels were a little off, but nothing extreme. His amino acid levels were all over the place. His test results also showed that he was severely intolerant to egg white, peanut, pork, tuna, gluten, and casein. He tested negative for candida (yeast overgrowth) and celiac disease. I know I have touched on our history in bits and pieces over the past few months, but I wanted to reiterate Jake’s background. I wanted to clarify that Jake’s diet and supplement program is specific to his deficiencies and intolerances. Without blood work paired with an elimination diet, I would not have been comfortable changing his diet and adding supplements. Also, Jake has remained in speech therapy twice a week during this transition. * Please note: This study only encouraged me to take action. A child should be under a doctor’s supervision before adding any type of supplement. All data and information provided on this site are for informational purposes only. Because of your blog, and these type of interventions (you hinted at this in a prior post), I started my son on DHA gummies. He went from not trying or not being able to imitate noises to being able to repeat all of the sounds of the letters of the alphabet. About a month later, he was diagnosed with autism and global developmental delays (along with the apraxia and SPD). I also took him to KCC based on a guest post you had. Your blog has been such a huge help. We had our family doctor recommend the GFCF diet. It was amazing! He is now putting two (very hard to understand, but 2 nonetheless) words together, sometimes 3. He asks for things – which he never had before. One day we relented and let him have pizza. The following day he was starting off into space, walking on his tiptoes, drooling, and had a hard time focusing on his therapies. We are now seeing a DAN doctor (biomed/integrative medicine) and going through the blood testing, the stool samples (he has had very few solid stools in his entire life) and more to come. I am looking forward to all of it and looking forward to seeing more progress. Can you tell me a little more about the quercetin? I will definitely be talking to my son’s doctor about that! Candace – Wow, thanks for your comments. I’m so glad that you’ve been able to put some of my information to use. And I am SO glad your son is showing improvement. Isn’t it exciting? After a few months it makes all the hard work and stress worth it. I am actually going for my 3 month follow up appointment next week and quercetin is on my list of questions also. We did that with the naturopath at age 2, but I went to a more qualified doctor for this round of interventions. I had actually forgotten about it until I started writing our story a few nights ago. Things that reduce inflammation (Advil, steroid breathing treatments) improve the clarity of his speech and I was going to see if we could get back on it. I’ll shoot you an email next week after our appointment. Thank you so much for posting. Olivia has had the allergy testing done (no allergies) but we never did the vitamin deficiency testing. Calling her dr tomorrow to get her welll visit done and request this testing as well. She always has dark circles under her eyes which we thought was from her central apnea. But after tosils and adenoids were removed and cleared up the apnea, she still has the dark circles. My mommy gut says vitamin deficiency might be the problem. Love this blog!! Thanks for the info and for sharing your story with us. Jen – I think I’ve read magnesium deficiency causes dark circles under eyes, but don’t quote me on it. The test I had done was called NutrEval and was 26 pages worth of results. It was also a little pricey – $800 – and insurance doesn’t cover it, but I felt like the detail of the information that I received was 100% worth it. We have had an interesting start to my daughters life. Always trying to understand more. IDK what all has to do w apraxia. She was just diagnosed in dec. w speech apraxia, motor dypraxia, low tone, hypothyroidism, and few more. She does also have eczema. She is very sencitive to sensory and does not eat much at all. Still hoping more people can inform me more. Not sure what all I should be doing. Thank You to your post I can relate to some.